Two become one as the hands of this Claddagh are joined together by intertwining bands of Sterling silver. 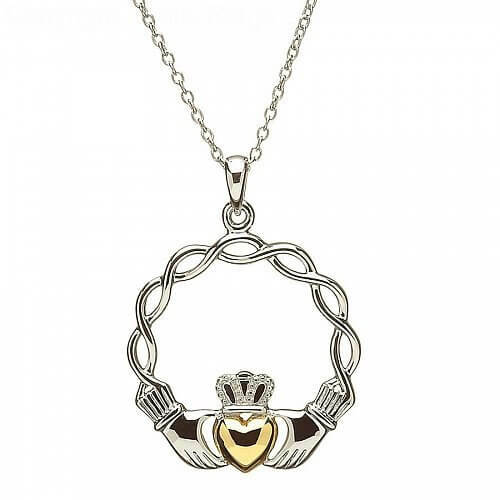 The Celtic knot Claddagh pendant is finished with a gold plated heart. 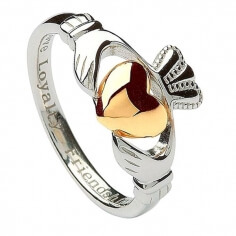 What a beautiful expression of love, loyalty and friendship. 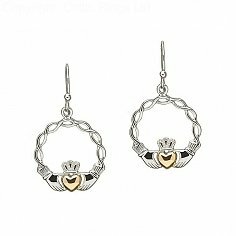 Handmade to order in Ireland and shipped worldwide. Presented in a luxurious box.